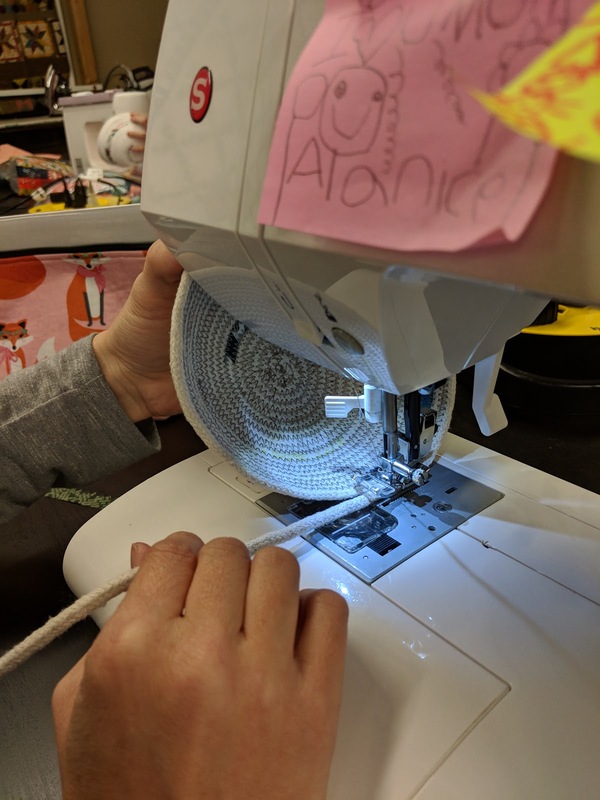 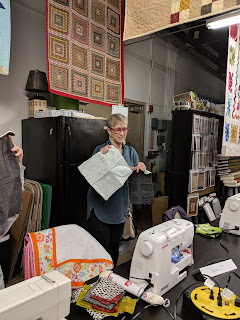 So I may have dropped the ball and am now just posting March's meeting post. 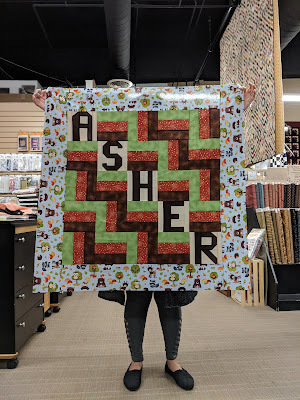 But here we go! 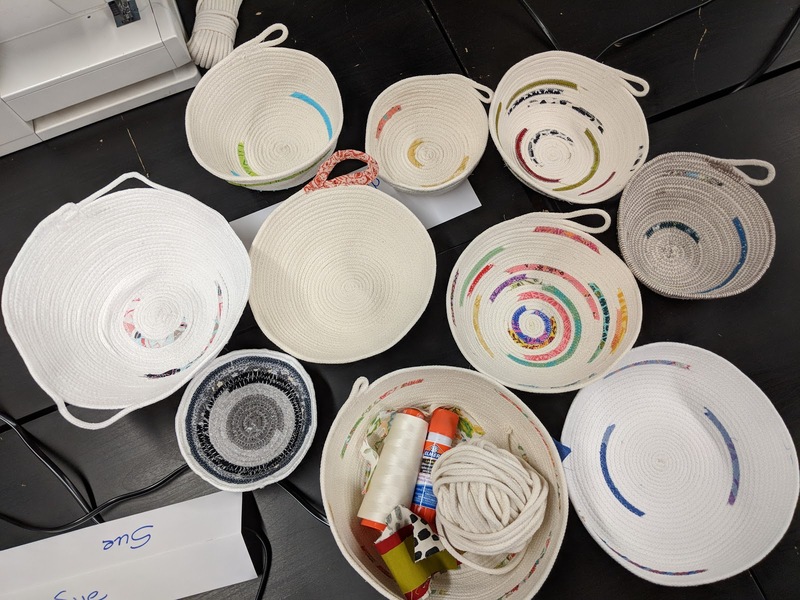 At March's meeting we threw around some ideas for fundraisers, such as selling guild t-shirts, mugs or project bags. 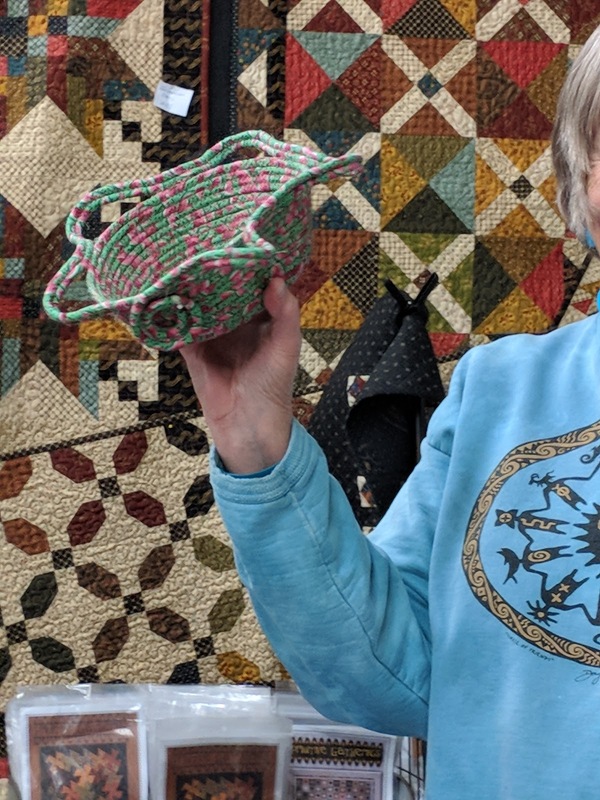 If you are able to donate any handmade items, Taylor will be collecting them at the next meeting to sell at a booth in April. 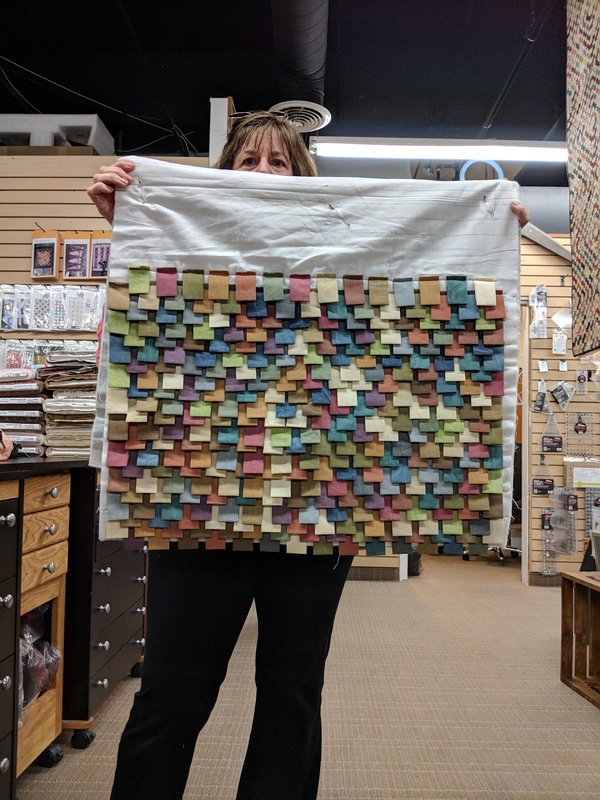 We introduced a new quilty challenge, The Charm Pack Challenge, so we can finally pull out those cute little charm packs we've been hoarding (or is that just me?). 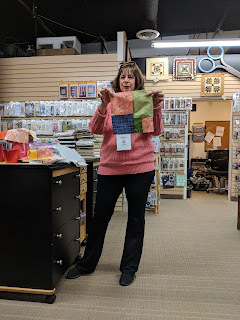 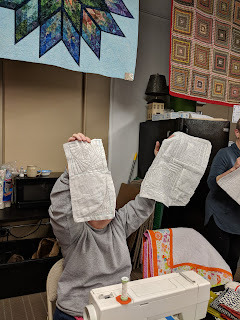 Jan presented quilt kits for anyone interested to "Take and Make" a charity quilt using our BOM blocks, extra needed fabric and a simple pattern. 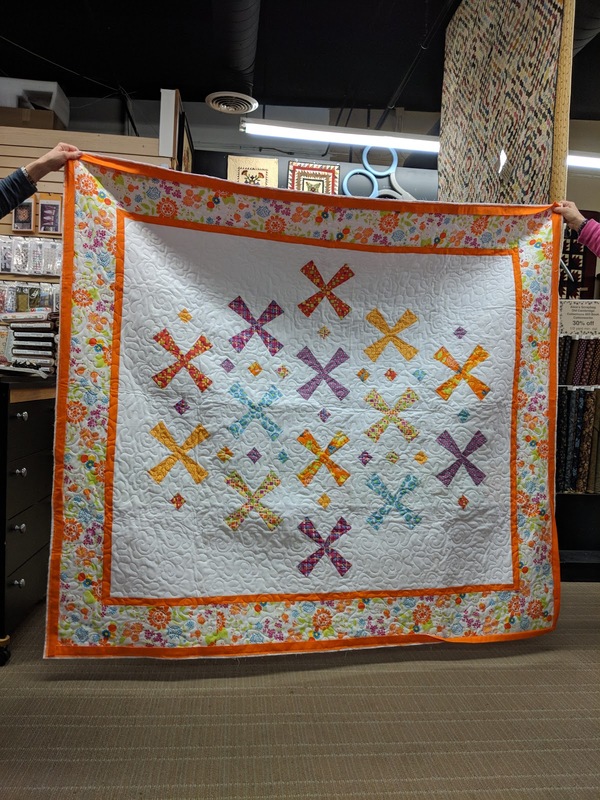 We'll be collecting the quilt tops or completed quilts at April's meeting. 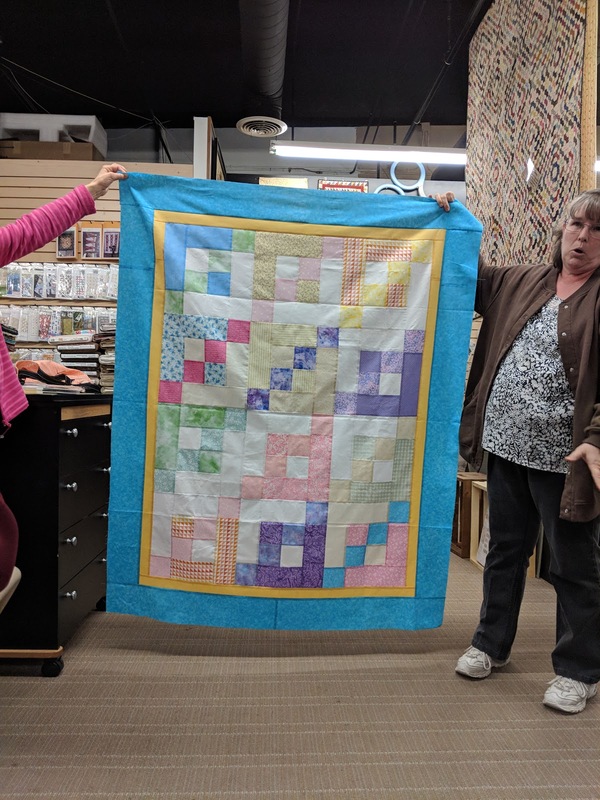 To start Show and tell, Wendy brought in this adorable baby quilt for her grand baby on the way. 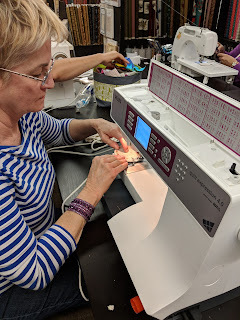 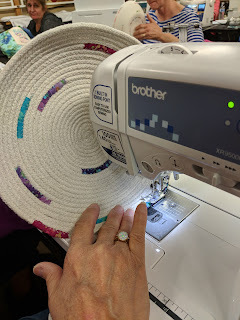 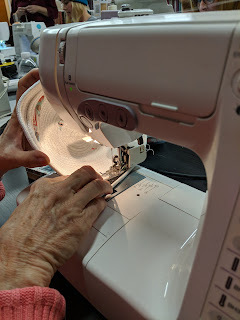 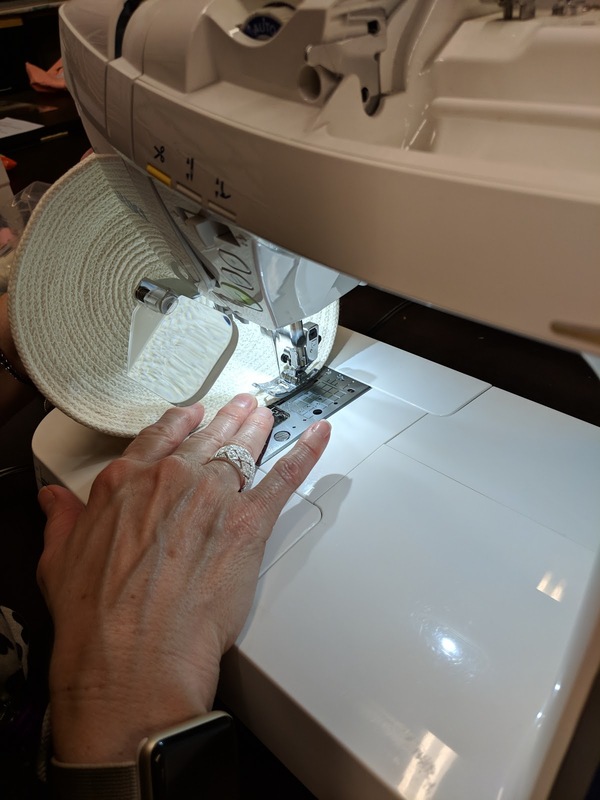 Linda took 2 classes from Angela Walters at QuiltCon. 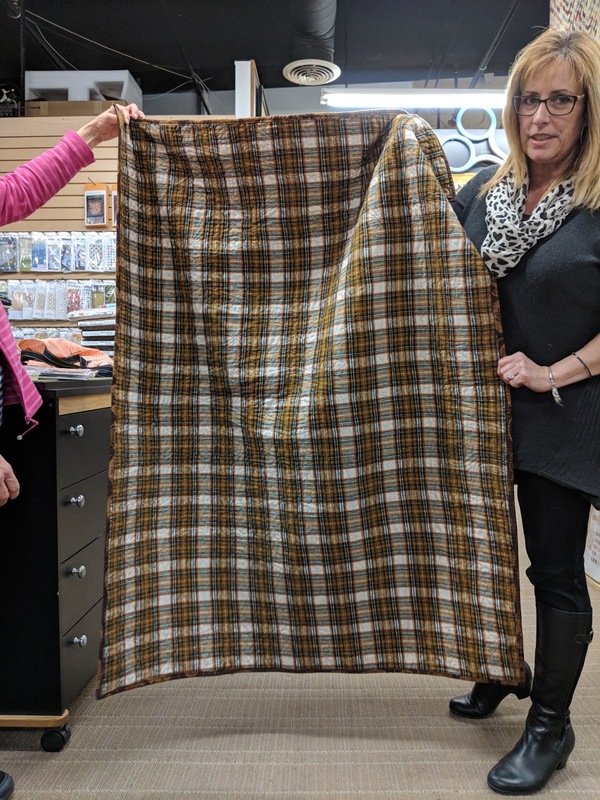 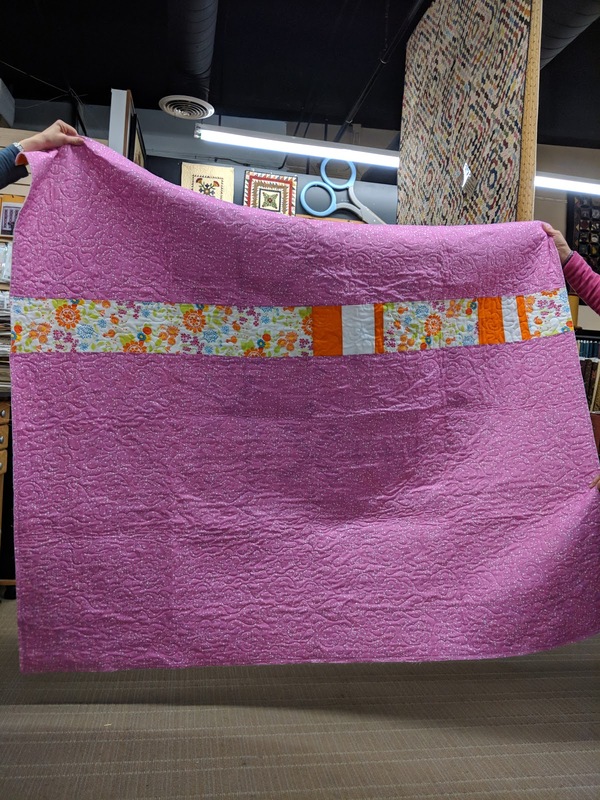 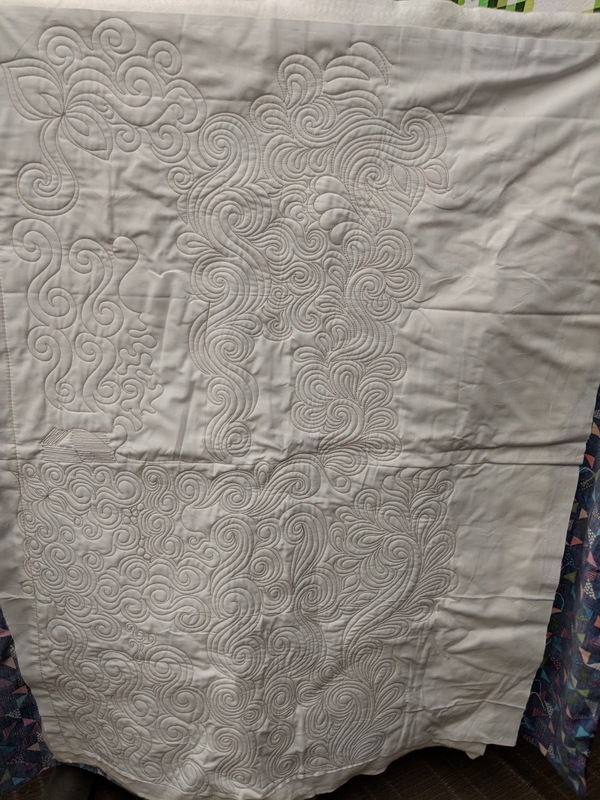 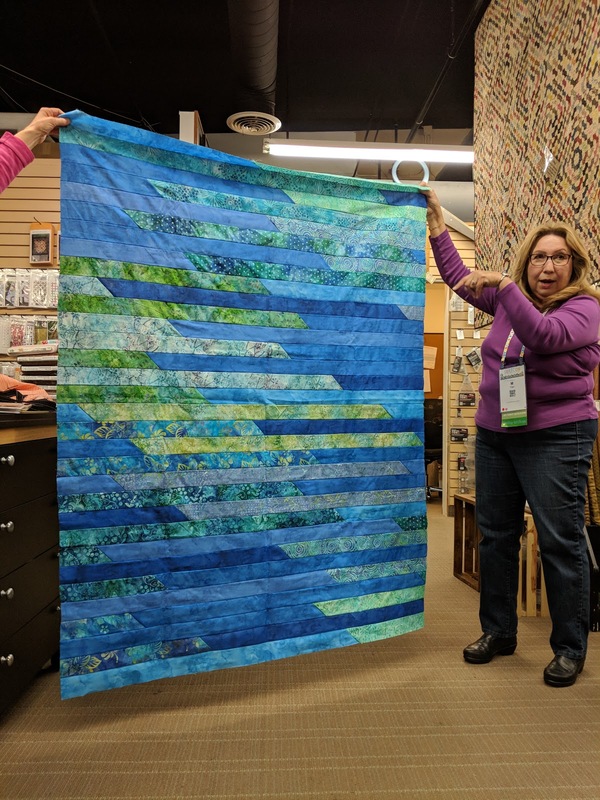 She was fortunate enough to quilt this sample with Angela and got to take both parts home instead of just her half. 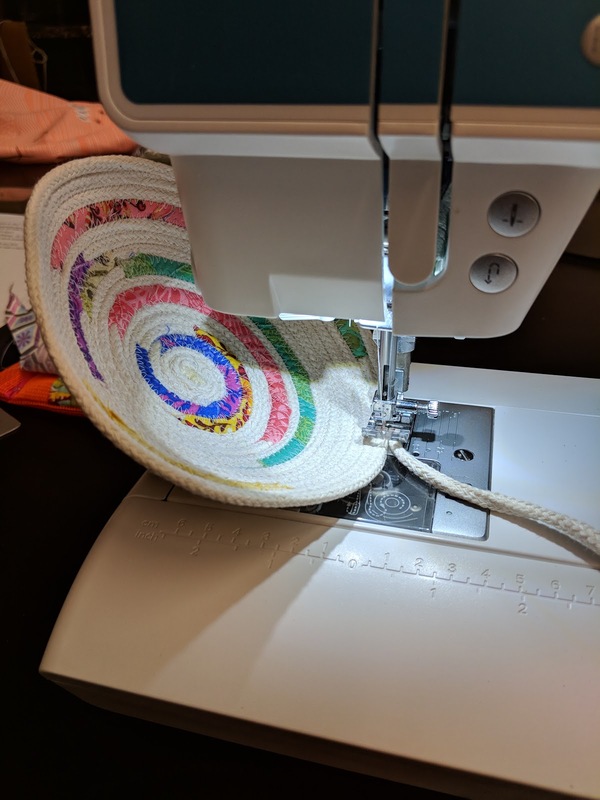 She also brought in this fun little basket she made a few years ago. Sherry shared this larger baby quilt. 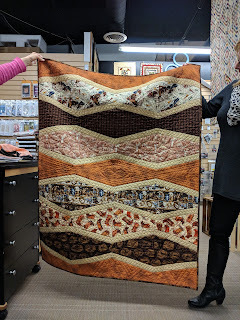 This quilt was from a block of the month from her other guild, the Maystone Quilt Guild in Hemet. The quilt will go to charity. 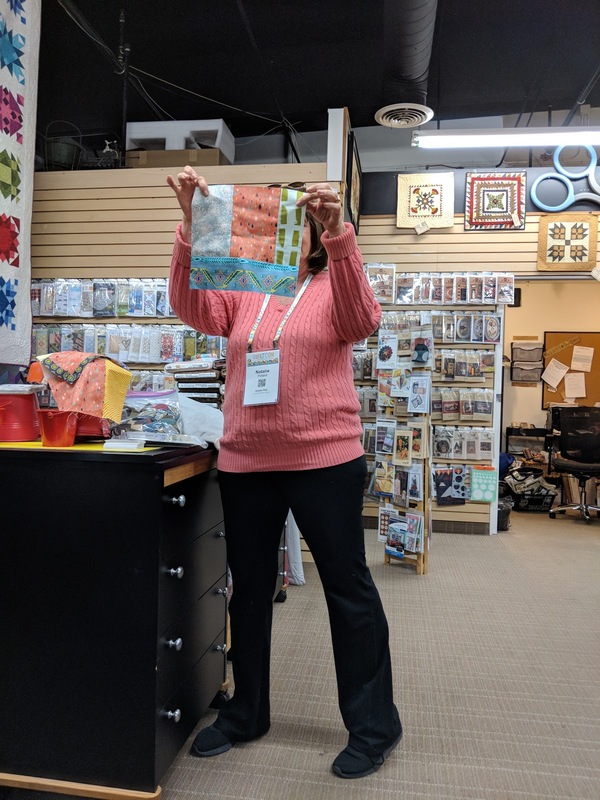 Maritza was playing with jelly rolls and made this fun version of the jelly roll race quilt out of batiks. 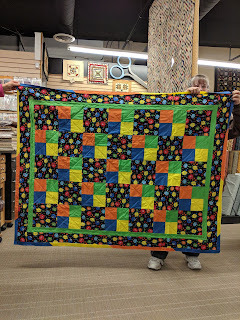 Sue started a quilt for her son for Christmas and just finished it. 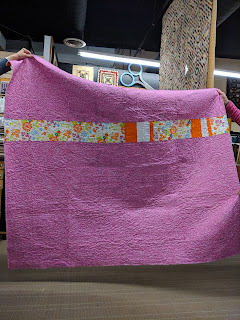 The pattern is the Beachcomber Quilt from Needle in a Fabric Stash. 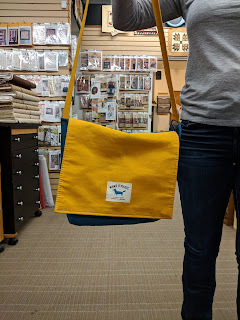 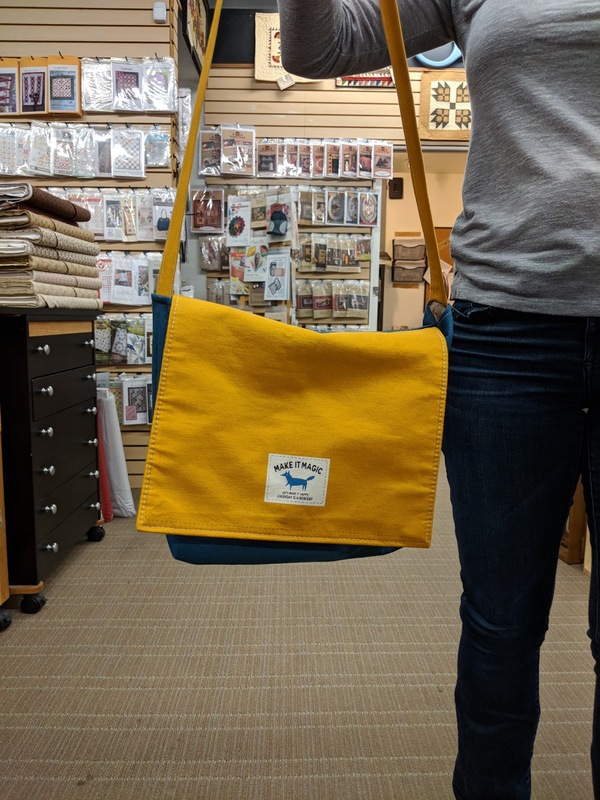 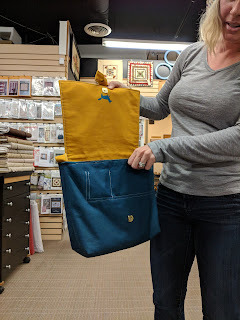 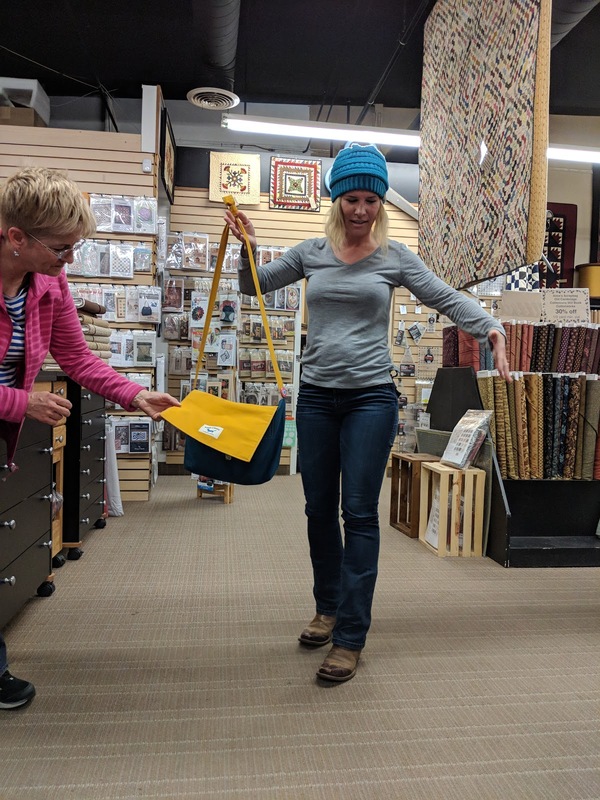 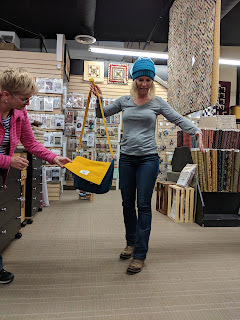 Taylor bought a panel from a booth at QuiltCon that made this fun bag. 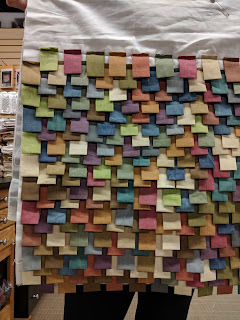 Natalie took a class from QuiltCon and made these blocks. She also took a class from Tara Faughnan called Inspired by the Pine Burr Quilt, the state quilt from Arkansas. 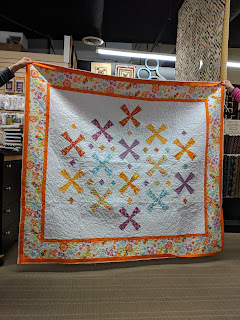 Nancy shared her finished quilt from the other month. 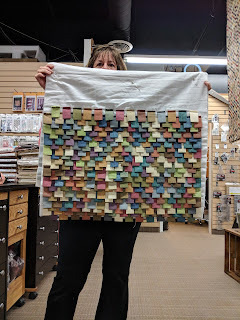 And look at that awesome pieced back! 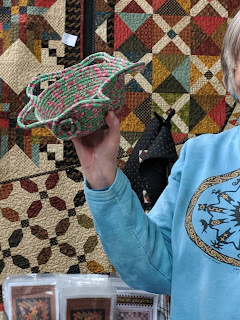 Nancy took a quilting class at QuiltCon from Pamela Wiley and shared these samples with us. We ended the meeting with a Rope Bowl demo from Jessica. 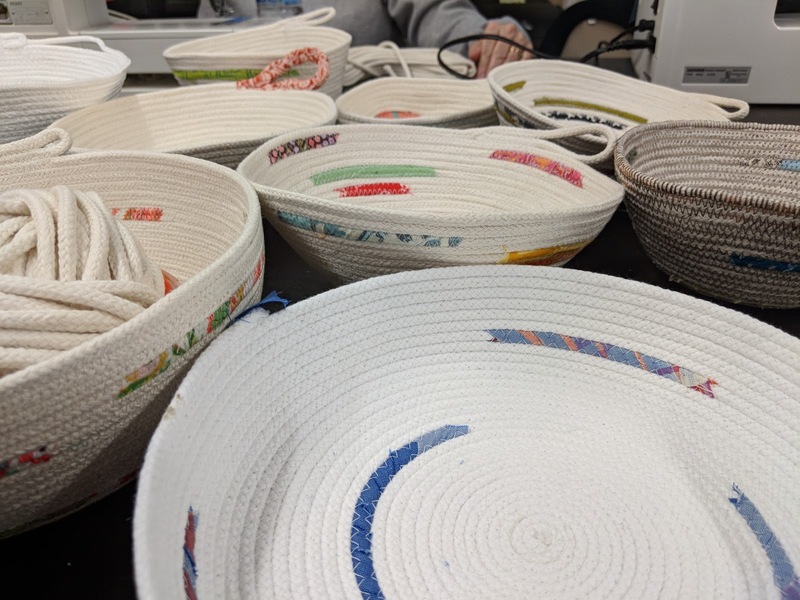 Look at all the fun bowls that were made!